A new thermostat might seem like a minor upgrade, but the right one can make your home more comfortable while reducing your monthly utility bill—and while thermostats aren’t that exciting, extra money is. 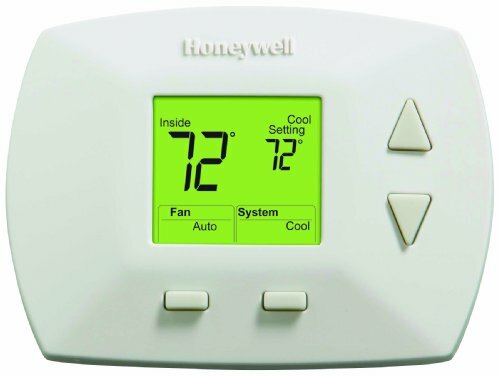 Honeywell makes dozens of thermostats, but with so many options to choose from, it can be difficult to narrow it down to the one you really want. Luckily, we’ve done the digging for you and narrowed the field to four of our favorite Honeywell thermostats. Some learn your preferences over time, some pair with home automation devices, and some only do the basics. Keep reading to learn more about each one and find out if it is right for your home. This learning thermostat costs about $50 less than Nest’s and ecobee’s learning thermostats, and while it isn’t an exact match, it offers most of the same features you’d get with Nest or ecobee. It is compatible with voice assistants like Amazon Alexa and Google Assistant, comes with motion sensing and multi-zone control, and can be controlled with a smartphone app. While we love that you can control the thermostat through the app, it’s also easy to change the temperature on the thermostat’s touchscreen. The screen displays useful information about your local weather conditions and indoor and outdoor humidity levels. Plus—you can change the background color to suit your preferences. While you can program this thermostat, you don’t have to. It can learn your preferences over time and then adjust the temperature accordingly. If you’ve got one smart home device, chances are you’ve got others. 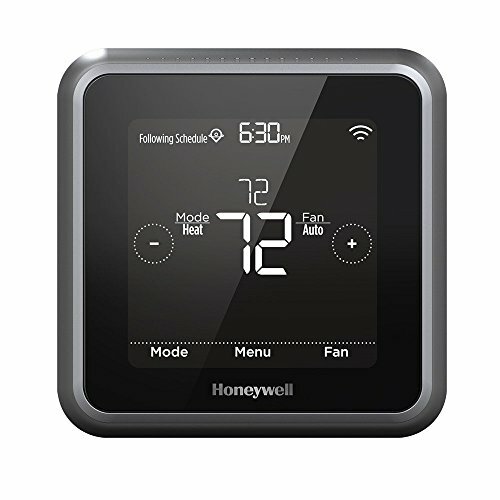 This Honeywell thermostat works with SmartThings, Amazon Alexa, If This Then That (IFTTT), and Google Home, so you can probably connect it to most of your other home automation devices. Size: 9 x 7.25 x 3 in. This smart thermostat is much less expensive than options from Nest and ecobee. While it isn’t a learning thermostat, it still comes with lots of useful features including home automation compatibility, smartphone control, and flexible programming options. The Lyric™ thermostat pairs with your smartphone so it can adjust the temperature when you’re home and when you’re away. The thermostat can automatically adjust its programming according to your location as long as you’re taking your smartphone with you. Like the learning thermostat mentioned earlier, the Lyric™ thermostat is compatible with a wide variety of other home automation devices, so you can keep your whole smart home connected. Size: 4.06 x 4.06. x 1.06 in. Smart thermostats are cool, but even a simple programmable thermostat can help you manage your energy consumption and utility bill. This thermostat covers the basics and is a fraction of the cost of the smart thermostats listed above. This thermostat is less than $30, which makes it the cheapest thermostat on the list. Millivolt systems are usually for gravity wall furnaces, top-vent furnaces, and direct-vent furnaces. These kinds of heating systems aren’t very common, but if by chance you have one, this thermostat will work. Size: 3.8 x 4.8 x 1 in. This non-programmable thermostat is very simple, but it has a clear backlit display and an easy-to-use interface. It might work well for you if you like to keep your home one temperature most of the time. You can’t program this thermostat, but that doesn’t mean you have to constantly adjust it. It will automatically change from heat to cool to keep your home at the temperature you want. Size: 10 x 10 x 4 in. Which thermostat should you buy? 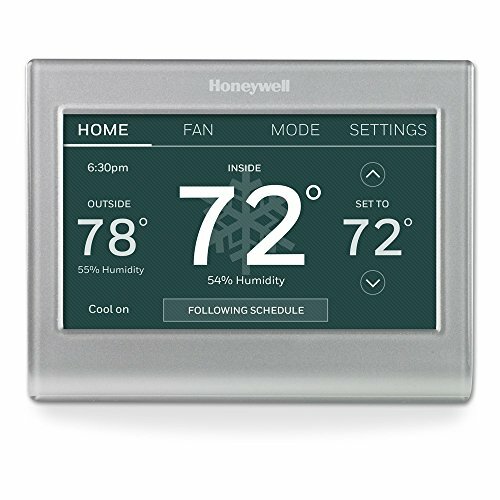 We’ve just scratched the surface of Honeywell’s thermostat selection. If you’ve got the budget, we’d suggest springing for the Honeywell Wi-Fi Smart Color Thermostat (RTH9585WF). It has the coolest features and learns your preferences so you don’t have to bother programming it if you don’t want to. If you want to explore your options further, visit Honeywell’s website. And if you want to learn more about smart thermostats from other companies like Nest and ecobee, check out our post about the best Wi-Fi thermostats. 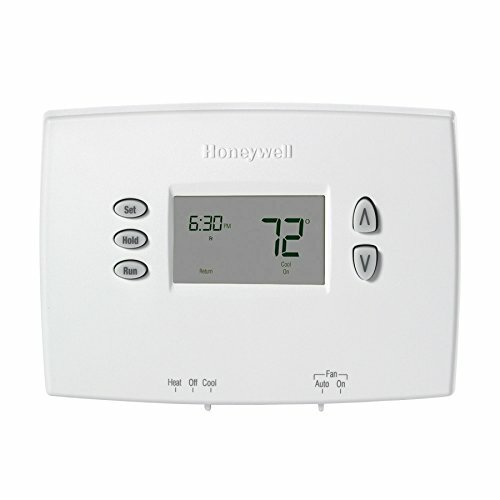 Have you used any of Honeywell’s thermostats? Let us know what you think in the comments below.